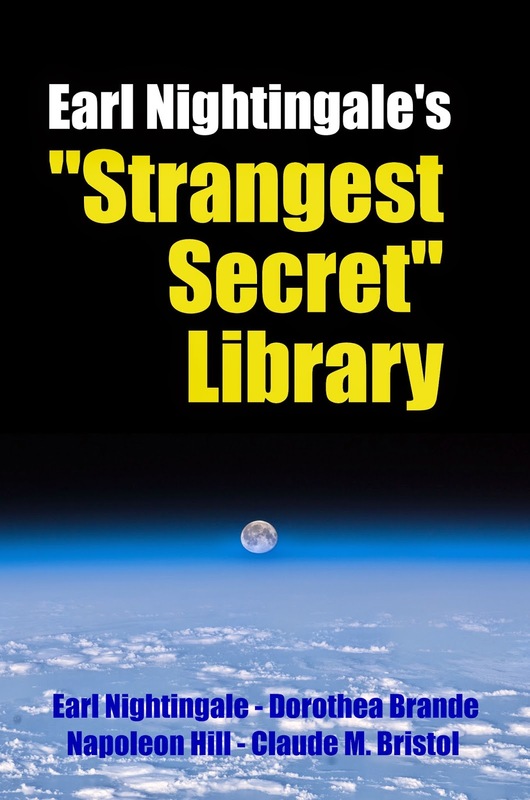 On this page, we make available to you the books referenced in Earl Nightingale's "The Strangest Secret" - as well as books referenced by those. The goal is to help you become what you really want to be, to have all that you really want to have. Earl Nightingale's "How to Completely Change Your Life in 30 Seconds"
Dorothea Brande's "Wake Up and Live! Collection"
Claude Bristol's "Magic of Believing Collection"
Napoleon Hill's "Updated and Complete Think and Grow Rich - with sequel"
These are tools to help you on your journey. I've sharpened them as I could by also including associated texts which add further understanding to them. Dorothea Brande's other bestseller, “Becoming A Writer” gives real meaning to her own journey that “Wake Up and Live!” started. The point of this single volume is to give you all the tools in one place so you can radically and quickly speed your progress toward remarkable states of abundance and prosperity – as well as unflappable calm and confidence. For once you've completely mastered this "Strangest Secret" - then life opens up to you and gives you whatever it is that you've ever wanted and dreamed of. These books are each represented as in the public domain, or as excerpted reviews covered under fair use. Earl Nighingale (d. 1989) - The transcript of his "Strangest Secret" recording (1956) is included as a translation from audio to text. Claude M. Bristol (d. 1951) - "T.N.T. - It Rocks The Earth" is included. This was published in 1932 and the copyright was not renewed per search on Stanford's database. A review of his "Magic Of Believing" is included under fair use provisions. Dorothea Brande (d. 1948) - Both "Wake Up and Live" (1936) and her "Becoming a Writer" (1934) are included. These are based on her originally published editions, which were not renewed. Napoleon Hill (d. 1970) - The public domain version of "Think and Grow Rich" (published in 1937 by the Ralston Society) was included, along with a fair use excerpt as review of his "Grow Rich with Peace of Mind"
Coming soon: A great book deal... stay tuned.